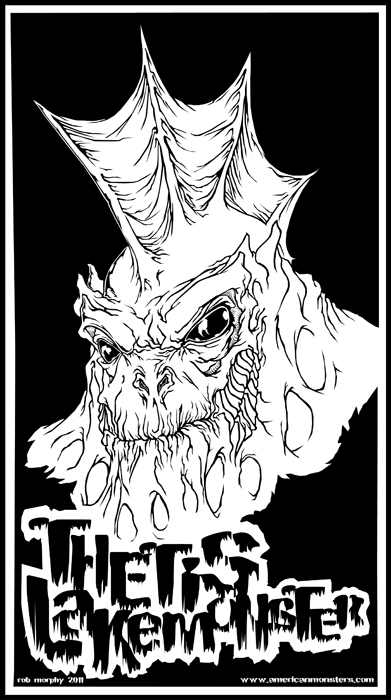 In 1959, three young men from Ohio claimed to have had a face-to-face encounter with one of the most bizarre critters ever to emerge from a seaweed strewn lake bed… an encounter so brief and perplexing that even most cryptozoologists don’t know what to make of it. Much like its Highland counterparts on the flip side of the Atlantic, Ohio proves to be one of the preferred stomping grounds in the U.S. for a more than a few unique species of AQUATIC ENIGMA. 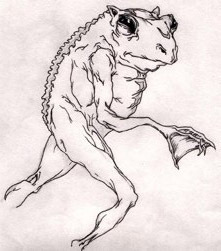 Far and away the most notorious of these beasts are the small, bipedal, frog-like fiends known as the LOVELAND FROGMEN, but the Charles Mill Lake reservoir — located about 100-miles away from Loveland in Mansfield, Ohio — is said to boast its very own aquatic oddity. 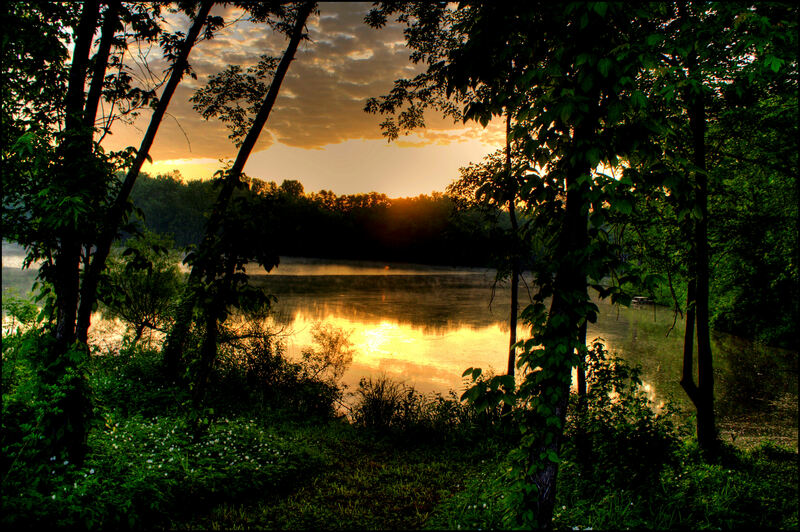 Nestled in between Cleveland and Columbus, the Mill Lake Reservoir was constructed in 1935 by damming the Black Fork of the Mohican River. Known for its voluminous catfish population, The Lake is also said to be the home of a unique and ostensible amphibious creature the likes of which has only been seen once and is quite unlike any other cryptid ever reported. This odd and harrowing encounter occurred on March 28, 1959, when three teenage buddies — Denny Patterson, Wayne Armstrong and Michael Lane — claimed to have had a run-in with one of the flat-out weirdest varmints that anyone has ever chronicled… at least in Ohio. 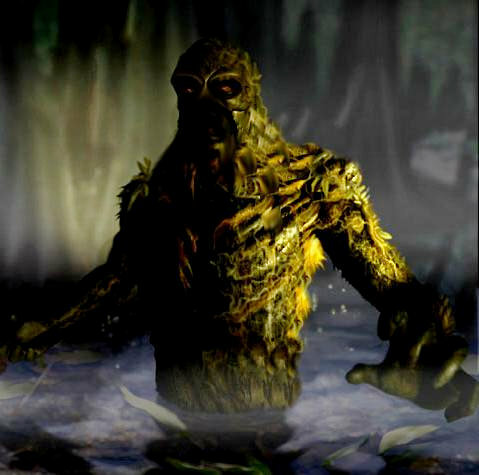 The youths men testified that they were cavorting near Ruggles road, near the swampy shores of the Charles Mill Reservoir at night when they saw a strange, 7-foot tall being rise up from the black water front of them. The petrified boys watched in horror as this colossal creature towered above them. Later they would describe the beast as being a huge, “armless” humanoid with luminous, green eyes and large, webbed feet. Needless to say the teens wasted no time in exiting the scene and were swift to report their unusual encounter. This description of a humanoid creature rising from a murky lake is very much like eyewitness accounts of the vicious THETIS LAKE MONSTER, which hailed from Canada in August of 1972. Unlike the quasi-reptilian visage of the Thetis Lake Monster, this creepy manifestation — which falls somewhere in the murky-gray area between the Creature from the Black Lagoon, a hairless ape-man and the unknown — seems quite unlike any other creature ever reported. When local authorities made their way back to the reservoir to see what the entire hubbub was all about, they discovered a series of “tracks that resembled the footgear worn by skin divers” along the shore. Despite this apparent confirmation that “something” with large, webbed feet was skulking along the edge of the lake, there were no subsequent reports of this armless beast with glowing eyes. It bears noting that the Charles Mill Lake is allegedly the stomping grounds for another terrifying beast which (ironically) was also said to have a pair of iridescent eyes. 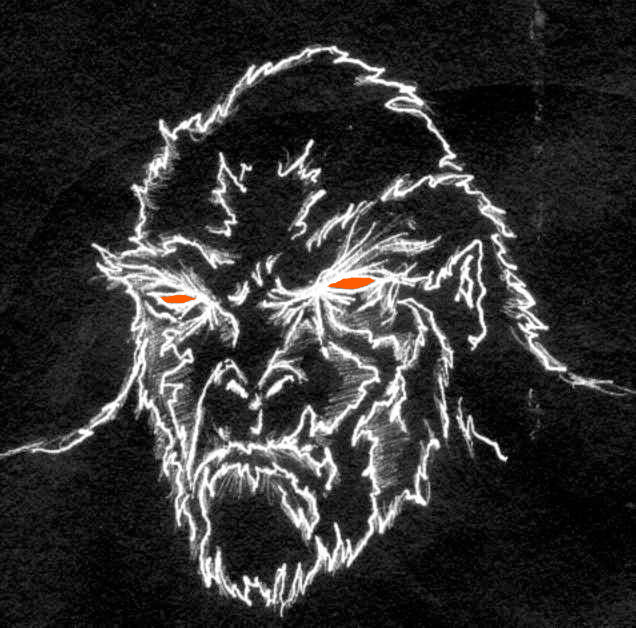 The creature in question is a large HAIRY HOMINID, which was said to have been driven out of its sewer tunnel home near a Cleveland’s Riverside Cemetery, whereupon it began stalking the LOVERS LANES surrounding Charles Mill Lake. This filthy beast — which in many ways, except pigmentation, resembled the legendary MURPHYSBORO MUD MONSTER — was notable for what eyewitnesses claimed were its glowing orange eyes, hence its designation as ORANGE EYES. It goes without saying that the legends of the Charles Mill Lake Monster and Orange Eyes have become intertwined somewhat over the years, a fact which is understandable considering that they are both huge, vaguely humanoid beasts that bear self-illuminated eyes and ostensibly share the same habitat. Nevertheless, the distinctions between the creatures are clear. 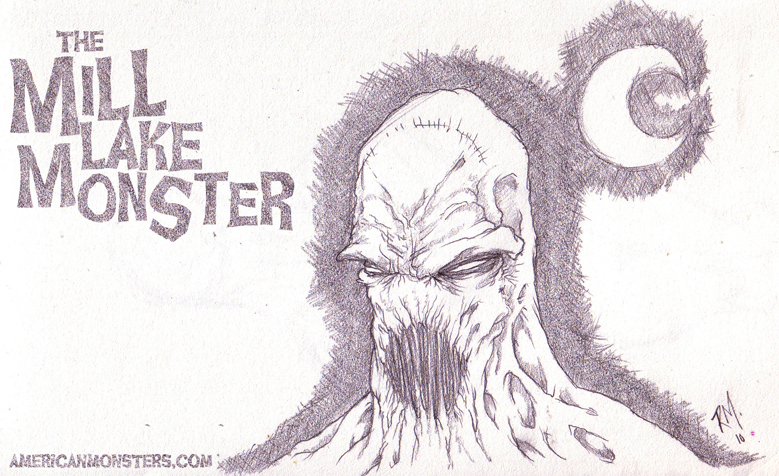 The Mill Lake Monster is an armless, hairless, ostensibly amphibious, green-eyed monster with big webbed feet, while Orange Eyes is more akin to a prototypical BIGFOOT-like being in that it is a large, hairy ape-like creature with two arms and orange eyes. Many have, rightfully, pointed out that the so-called “glowing eyes” seen on these creatures may well be mere reflections caused by flashlight or headlight beams. These reflections can change color depending on the angle and source light. 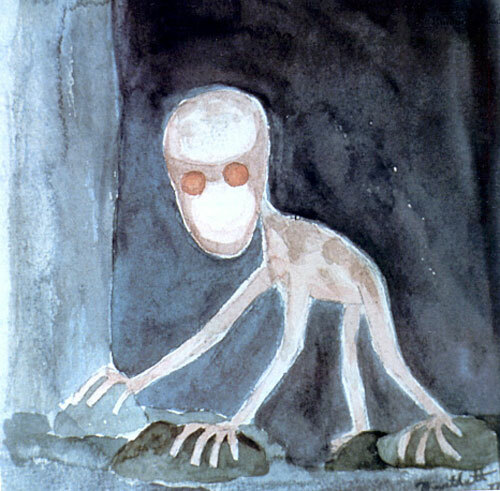 In the fascinating case of the as yet UNCLASSIFIED creature known as the DOVER DEMON, observers who described a tiny, hairless, melon headed critter claimed that its eyes also were luminescent and shined multiple colors depending on where — and under what lighting conditions — it was seen. There have been no confirmed reports of the Charles Mill Lake Monster since 1959 — although many, including Coleman, credit it with what is an apparent ape-like Orange Eyes encounter from 1963 — however, every now and again, folks from that region still claim to discover strange tracks that resemble huge, webbed feet near the boggy coast of the reservoir. Previous articleDOES FBI MEMO PROVE ALIENS CRASHED AT ROSWELL?